Do you like Deep Purple, Rainbow and pre-MTV Whitesnake? Then you’ll probably like Sainted Sinners. Fronted by former Accept singer David Reece and self-described as “the essence of rock ‘n’ roll”, Sainted Sinners plays in a classic heavy rock style that many people will find familiar and comforting. There is no doubt this band takes their cues from a number of classic hard rock bands from the ’70s and early ’80s with their bluesy heavy riffs and use of the Hammond organ. I was quite surprised by how many tracks I ended up enjoying from this album after I finally gave it a complete spin many months after its initial release. The opening track “Knight of the Long Knives” really lets you know what you’re in with this album as the bands I previously mentioned immediately come to mind. A few turns to other classic rock bands happen as “This Love That I Found” carries a Led Zeppelin vibe and the southern boogie rock of “In Need” sounds like a lost ZZ Top track. And David Reece’s voice is perfect for this style of music. He has the right amount of soulful grit to pull off the style of vintage-sounding heavy rock. Depending on the song, he vocals are reminiscent of Ian Gillan or David Coverdale. This is an album well-worth exploring for fans of classic hard rock from the 1970s. Even though I caught the band on this tour, I didn’t bother checking out this live album (which was recorded in Grand Rapids, Michigan) when it was released. I’m not a huge fan of live albums and something about this one seemed like a cheap cash-in. Released as a 2-CD set, it was simultaneously released as two volumes exclusively to Walmart. This was during the short-lived craze of releasing product exclusively to a single big box retailer (GNR, KISS, AC/DC, etc.). I remember the two Walmart volumes looked especially cheap, like those cash-grab budget releases you can find at a gas station (or a Walmart). This album was a success though, going platinum, while the DVD release went 3X platinum! Of course, music is only half of Motley’s charm. They’ve always been a band that appeals to the eyes just as much, if not more, as they do to the ears. With no opener at my show, the band played close to a three hour set with its dark carnival theme featuring all kinds of additional circus performers. Motley seemed to be taking its cue from Rob Zombie and Slipknot during this era with their promotional photos and stage show. The performance itself is a good representation of Motley Crue, and while the band fell into the trap of playing the same “greatest hits” set list with recent tours, they don’t shy away from playing earlier tunes like “Red Hot” (which sounds great), “Live Wire”, or “On With the Show” here. Also included are “Sick Love Song” and “If I Die Tomorrow”. Both of which I thought were great songs but I remember the live crowd at my show not really caring. That’s a shame because I really like the new stuff Motley did during this time. I wouldn’t be surprised to see the band release a live album commemorating their 2015 retirement tour, but as of now, Carnival of Sins: Live stands as the band’s final live release, and it’s a pretty good one. Vocalist extraordinaire continues to pay respect to the old gods with his latest release. It’s no secret that Jorn is a HUGE fan of Ronnie James Dio, or that has covered Dio’s songs many, many times (and even devoted an entire album of cover songs to him), but now he’s expanding. Heavy Rock Radio has Jorn covering Journey, Paul Stanley (from his 2005 Live to Win solo album! ), Queen, Eagles, Deep Purple, Iron Maiden, Foreigner, and, of course, Dio and Dio-era Black Sabbath. There’s also tracks originally recorded by Kate Bush (“Running Up That Hill”) and some ’80s pop (Frida’s “I Know There’s Something Going On”). Okay, so “Don’t Stop Believin'” isn’t exactly lacking for cover versions, but what I love about this album is that Jorn didn’t go for the obvious choice for some of these musicians. I mean, a cover of a Paul Stanley song from 2005? Or an Iron Maiden song that was released in 2010? Or a Deep Purple song that isn’t “Burn” or from the Gillan era? Having said that, I would be completely satisfied if Jorn recorded every song Ronnie James Dio ever sang on from his days in Dio, Rainbow & Black Sabbath. I’m not kidding. No one can ever replace Ronnie, but Jorn shows great love and appreciation for Ronnie’s work and he always sounds completely amazing on Dio covers as evident by this album’s versions of “Rainbow in the Dark” and “Die Young”. Jorn absolutely slays all of these songs. I couldn’t care less for Kate Bush, but his cover of “Running Up That Hill”? Amazing. Heavy Rock Radio is another fantastic album from Jorn Lande. 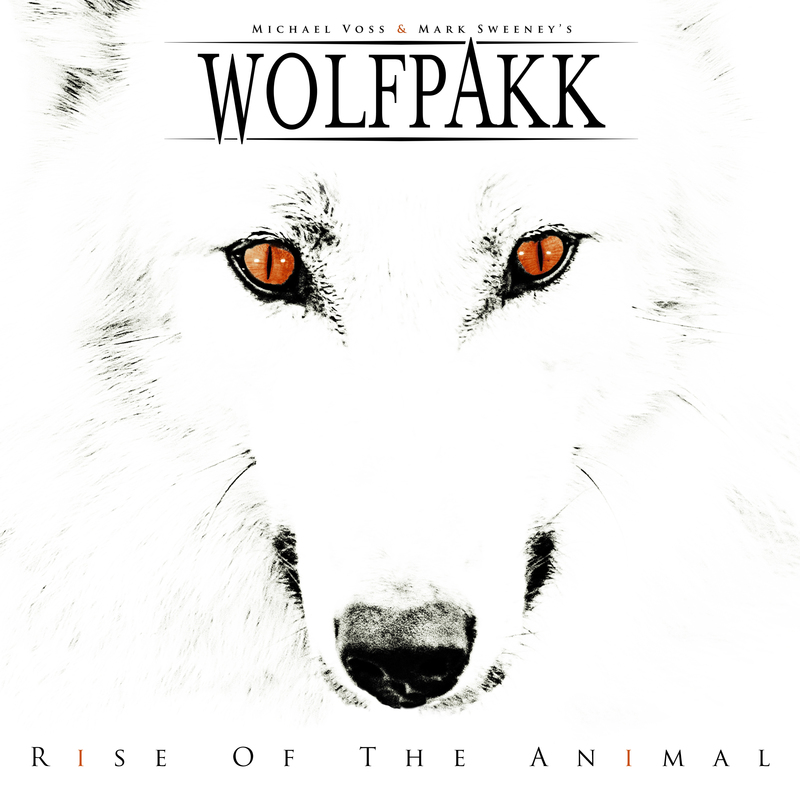 Wolfpakk is an all-star melodic hard rock/metal project put together a few years back by vocalists Mark Sweeney (ex-Crystal Ball) and Michael Voss (ex-Casanova). I won’t repeat all of the musicians involved but Rise of the Animal features an exceptional line-up of guest musicians like Doug Aldrich, Joe Lynn Turner, David Reece (! ), Don Dokken, Michael Kiske, Axel Rudi Pell and Bob Daisley. Honestly, I checked out this album based on the cover art and the band name (another ‘Wolf’ band!) alone. I didn’t realize until reading up on Wolfpakk that they are more of a project than a legit band. Or if they are a band, you can distill it down to simply Sweeney & Voss (who write the songs as well) as the guest musicians change from album to album. So, for an album that includes such a large guest list, the cohesiveness of the album is very impressive. Not even the different vocalists take you out of the moment. It all works. Rise of the Animal flows together as a great collection of melodic hard rock and melodic metal, great guitar solos and soaring vocals with large catchy choruses. Rise of the Animal is a powerfully and skillfully made block of melodic metal and rock that won’t disappoint you if you’re a fan of the artists involved. The album was a very pleasant surprise to me that seemingly came out of nowhere.